Having VCOMP110.dll is missing from your computer error when trying to launch some applications? Here is simple fix. This error may happen when you don’t have Microsoft Visual C++ 2012 Redistributable Package installed in your machine. These packages are copied directly form Microsoft servers and are safe to use. Sometimes even if you are using 64-bit operating system you have to download 32-bit (x86) version too. 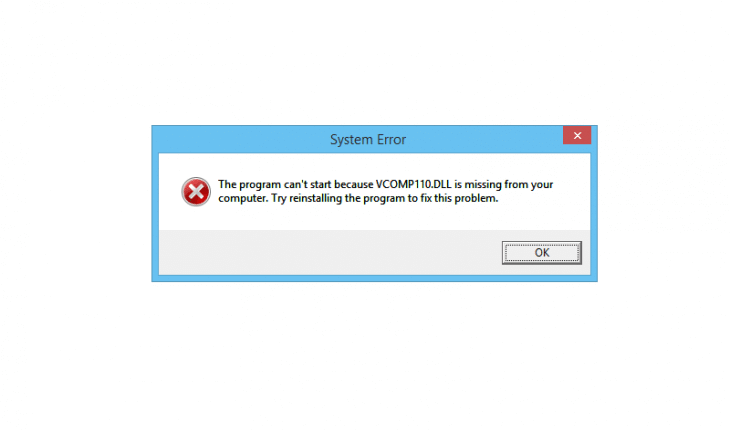 After package installs you should solve the VCOMP110.dll is missing from your computer error. Enjoy!